Following further discussions on the Work Party rule and buy out fee, the rule and fee have been scrapped. This means from 2018, TVA membership is cheaper. Click here for 2018/19 prices. ​As an incentive to attend work parties, we are offering 2 free Membership Books to the 2 members that attend the most work parties. These will be awarded at the AGM. 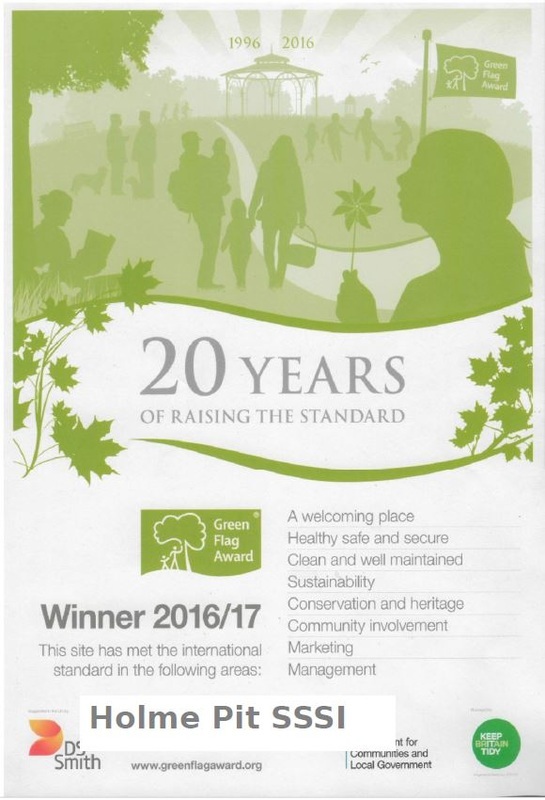 In recognition of its dedication and hard work over the last 17 years Holme Pit Action Group has won a 2nd Green Flag Community Award. A really BIG Thank you to everyone who has supported us for the last 17 years; this is your award too, well done. Next work party - next Sunday, 10th July 10am down at the pond. Main tasks will be pulling hymalayan balsam and dragging blanket weed from along the arm. All welcome, the more the merrier - always need someone to make the tea even if you are not up to the physical stuff. Should you wish to pay your way out of attending work parties there is now the option to pay using paypal. Remember it is a condition of membership that you attend 2 work parties a year - so far 12% of members have already fulfilled this criteria and 25% have only one more to do. Don't forget that there is a free permit up for grabs to the person that attends the most work parties. All eligible members must attend at least 2 full work party days per year. This is a condition of TVA membership. All start at 10.00 am, meet on site were the work is taking place. Please bring gloves, bin liners and a petrol strimmer if you have one. Future work includes hand pulling Himalayan Balsam at Holme Pit. This is essential management of the SSSI and usually takes place around the end of June, beginning of July depending on growth rates. 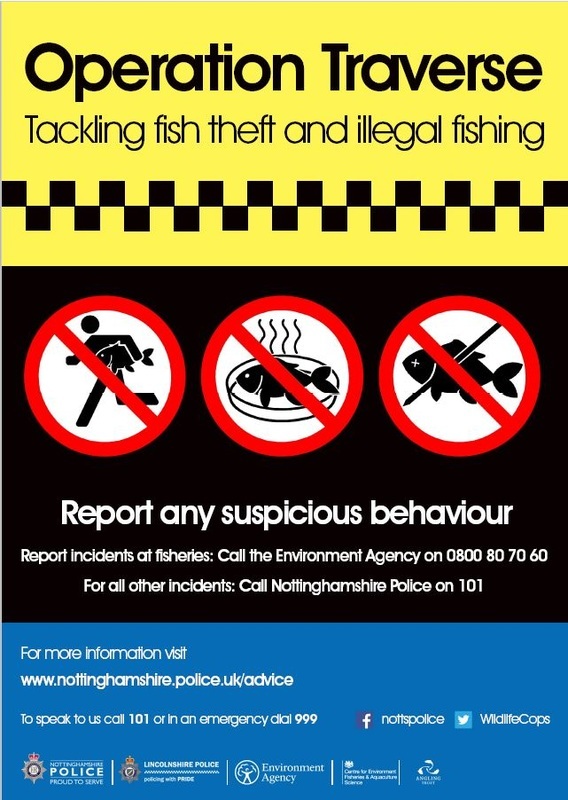 To help tackle illegal fishing and poaching please report anyone fishing Trent Valley Angling waters during the closed season (15th March - 15th June inclusive) using the phone numbers on the above notice. TVA in the 21st Century....!! !